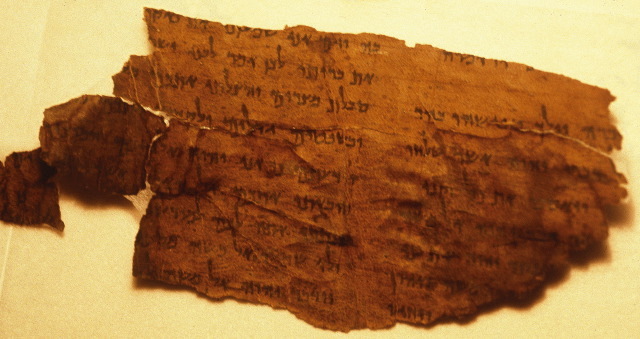 The Dead Sea Scrolls offer a window onto the rich theological landscape of Judaism in the Second Temple period. Through careful textual analysis, the authors of these twelve studies explore such topics as dualism and determinism, esoteric knowledge, eschatology and covenant, the nature of heaven and / or the divine, moral agency, and more; as well as connections between concepts expressed in the Qumran corpus and in later Jewish and Christian literature. The religious worldviews reflected in the Scrolls constitute part of the ideological environment of Second Temple Judaism; the analysis of these texts is essential for the reconstruction of that milieu. Taken together, these studies indicate the breadth and depth of theological reflection in the Second Temple period. TALMUD WATCH: Why We Should Teach Our Children Talmud Folk Tales — Instead Of Grimm’s Fairy Tales (Ilana Kurshan, The Forward). This essay is largely a review of a recent book by Jeffrey Rubenstein: The Land of Truth: Talmud Tales, Timeless Teachings (JPS, 2018). I noted some essays by Professor Rubenstein here, here, and here. Posts here, here, and here are also relevant. And for more on Ilana Kurshan and her book, If All the Seas Were Ink, start here and follow the links. FACES AND VOICES: Open letter to Brill: Fake and unprovenanced manuscripts (Roberta Mazza). Updated with a reply from Brill. THE SOCIETY OF BIBLICAL LITERATURE'S 2018 ANNUAL MEETING is about to begin in Denver, Colorado. Technically it begins tomorrow, on Saturday the 17th. But related sessions begin today. Many delegates are arriving today and some are already there. I had to skip last year's meeting and I'm not attending this year either. SBL colleagues, I will miss you all. I trust you will be able to manage (just) for another year without me. Last year my review of Heidi Marx-Wolf's book, Spiritual Taxonomies and Ritual Authority. Platonists, Priests, and Gnostics in the Third Century C.E. (University of Pennsylvania Press, 2016) was presented in absentia. Just so you have something SBL-related from me, I will post it tomorrow. SBL friends, have a great time in Denver! I look forward to seeing you all in San Diego for the 2019 SBL Annual Meeting. PHOTO ESSAY: Photos: Biblical-Era Cistern and Carvings Discovered in Israel (Stephanie Pappas, Live Science). Background here. Cross-file under Graffiti Art. The present work is Ada's last contribution to the field of Hebrew and West-Semitic palaeography that a sad fate prevented her from completing. *** FORTHCOMING *** PRESALE *** Note: Orders will be delivered upon publication (early December 2018). BIBLIOGRAPHIA IRANICA: The Cult of Mithras in Late Antiquity. Notice of a New Book: Walsh, David. 2018. The Cult of Mithras in Late Antiquity: Development, Decline and Demise ca. A.D. 270-430. Leiden: Brill. Follow the link for details. A couple of other recent books on Mithras have been noted here, here, and here. LARRY HURTADO: “God’s Library” (by Brent Nongbri): A Review. Nongbri has produced a “must read” for all those interested in early Christian manuscripts, and will likely persuade some of those who haven’t shown such interest that they should! His proposals for revisions of dating of some key manuscripts carry varying force, but deserve a careful and considerate evaluation. But it has to be said that the dates assigned to early Christian manuscripts have tended to be reached by papyrologists and palaeographers, practicing the same methods by which they date non-Christian manuscripts. So, for example, if too many Christian manuscripts have been assigned too early, then is the same the case for the many more non-Christian manuscripts dated by the same people and by the same methods? But, to repeat myself for emphasis, we can all be grateful for Nongbri’s impressively researched book, which I am sure will deservedly generate still greater interest in the study of early Christian manuscripts as artefacts. Dr. Nongbri responds to the review here: Palaeography and Codices: A Couple Thoughts on Larry Hurtado’s Review of God’s Library. Past PaleoJudaica posts on the book are here, here, and here. JOB OPENING: NEW TESTAMENT PROFESSORSHIP AT THE UNIVERSITY OF ST ANDREWS. We wish to appoint a Professor within the School of Divinity in the field of New Testament Studies. The successful candidate will be an outstanding scholar of international reputation whose core focus of research is the New Testament. He or she will be expected to have a range of interests in this field which strengthen and complement those already within the School, and to make an outstanding contribution to the advancement of the study of the New Testament through research outputs and teaching. The successful candidate will be expected to represent the University of St Andrews in the UK and international communities in prominent ways. The successful candidate will hold a doctorate in (or directly related to) the field of New Testament Studies. He or she will be expected to be capable of teaching the subject to undergraduate and taught postgraduate students from a wide range of backgrounds, as well as attracting and supervising research postgraduate students. The primary criteria for appointment will be evidence of an internationally recognised record of outstanding research relating directly to the New Testament, and a clear programme of anticipated research activity in this field for the coming years. Informal enquiries about this post may be directed to Dr Steve Holmes, Head of School (divhos@st-andrews.ac.uk) or to Prof. Judith Wolfe, Deputy Head of School (jw240@st-andrews.ac.uk). Applications are particularly welcome from women, who are under-represented in academic posts at the University. Follow the link for further particulars and application information. The closing date is 14 December 2018. I am not involved with this search, so I am not the person to contact with questions. Instead, see the relevant contact information above. There will also be a number of St Andrews Divinity scholars at the SBL meetings in Denver. This is my twenty-fourth year at the University of St Andrews. It is is a great place to work. If you are interested, please do apply. I look forward to a new senior colleague in New Testament joining us soon. NUMISMATICS: CoinWeek Ancient Coin Series: The Ptolemies, Part II (Mike Markowitz). I noted and commented on Part I of this series here. See there for more biblical and historical background. • Ptolemy IV Philopator (vv. 11-12, "the king of the south"). • Ptolemy V Epiphanes (vv. 14, 17, also "the king of the south"). Ptolemy V's wife, Cleopatra I, daughter of Antiochus III, is also mentioned (unnamed) in v. 17. • Ptolemy VI Philometor (vv. 25-27, yet again, "the king of the south"). THE AWOL BLOG: The Book Of Shmu'el - A New Translation. By William Whitt. Free online. Dr. Whitt's Academia.edu page is here. H-JUDAIC: Talmud Yerushalmi database. Cross-file under Talmud Watch. MARINE ARCHAEOLOGY: Missing Piece of Antikythera Mechanism Found on Aegean Seabed. Bronze disk unearthed by archaeologists in same wreck where original 2,200-year-old computer had been found; also located bits of the ship that Jacques Cousteau and looters hadn't destroyed (Philippe Bohstrom, Haaretz premium). Past PaleoJudaica posts involving the Antikythera Mechanism are here and here. Like the Gozo shipwreck on the coast of Malta, the Antikythera shipwreck just keeps on giving. Even after more than a century. This story isn't directly connected to ancient Judaism. But circles in Second Temple Judaism were quite interested in science, especially astronomical science. I still wonder if the Enochian astronomers would approve or disapprove of the Antikythera Mechanism. SYRIAC WATCH: International conference explores Syriac Christianity. Professor Sebastian Brock speaks about St. Ephrem the Syrian’s contribution to Syriac Christianity. (Vatican News). A two-day conference entitled “Syriac Christianity at the Crossroads of Cultures” gathered researchers from all over the world at the Pontifical Oriental Institute in Rome last week. That's a good photo of Professor Brock. UPDATE: Just noticed that that "photo" is actually a video interview. Better yet. The evidence, I argue, suggests a first- or second-century reader of the textual traditions we now call the Gospel according to Matthew and Gospel according to Mark would not have thought of them as two separate books by two different authors. Rather they would have regarded them as the same open-ended, unfinished, and living work: the gospel—textualized. Thus, the validity and utility of source-, redaction-, and textual-criticism as traditionally practiced are called into question. For example, what does it mean to talk about the “Synoptic Problem” without recourse to ideas like books, authors, and textual finality? For a rather different view of such matters, see this recent blog post, with links, by Larry Hurtado: More on Rethinking the Textual Transmission of the Gospels. DOMINOES FALLING? UK to quit Unesco? Proposals for Britain to follow Israel and US in leaving the UN body (The Week). International Development Secretary Penny Mordaunt is urging fellow Cabinet ministers to back plans to withdraw the UK’s £11.1m funding from Unesco, according to reports. This article also gives an update on the current state-of-play regarding the plans of Israel and the United States to withdraw from UNESCO as of 31 December 2018. I hope this does not happen. Since Audrey Azoulay took over as UNESCO chief, she has been making a real effort to reach a better understanding with Israel and the U.S.A. But paradoxically, this new move by Secretary Mordaunt may strengthen Ms. Azoulay's hand, since it puts UNESCO under yet more pressure. It would not surprise me if a deal emerges just before the end of the year which keeps all three countries in UNESCO. Let's hope so. But I think we'll be seeing some brinksmanship before that happens. For background of the falling out of Israel and the United States with UNESCO, start here and follow the links. DECORATIVE ART: 'Suddenly I Saw Eyes': Jesus’ Face Discovered in Ancient Israeli Desert Church. Very little early Christian art has survived the centuries in the Holy Land – but then an Israeli art historian looked at the apse of a ruined Byzantine church in Shivta, and saw Jesus’ face and short curly hair (Ruth Schuster, Haaretz premium). To my unpracticed eye the new wall depiction of Jesus looks like one of those "Jesus on a piece of toast" pictures that surface constantly on the internet. But I'm sure the art historians looking at the original wall can see it better than I can. I'm happy to take their word for it. The article also reports that the earliest surviving drawing of Jesus is from a third-century church at Dura Europos. There is a photo. THIS WEEK'S DAF YOMI COLUMN BY ADAM KIRSCH IN TABLET: Vesselmania. In this week’s ‘Daf Yomi,’ Talmudic scholars grapple with the number of sacrificial measuring cups in the First Temple. In Chapter Ten of Menachot, the rabbis ask how these precise measurements were actually made in the Temple. It stands to reason that there must have been measuring bowls or cups—but how many, and in what denominations? This is one of those prosaic questions that brings home the magnitude of what was lost with the destruction of the Temple. Precisely because measuring cups were such humble, ordinary tools, there is no record of them anywhere for the rabbis to rely on. Instead, here as with many other facets of Temple ritual, they must recreate the past using the only resources available to them: oral tradition, which is full of disagreements and contradictions, and the text of the Torah, which is often silent about matters of detail. Finding or inventing an answer out of these meager resources is what the Talmud is all about. ANCIENT JEW REVIEW: Book Note | Resurrection of the Dead in Early Judaism (Karen Connor McGugan). C. D. Elledge, Resurrection of the Dead in Early Judaism, 200 BCE—CE 200. New York: Oxford University Press, 2017. While early Jewish evidence for resurrection is often considered primarily as a stage in the linear development of resurrection belief as it eventually emerged in Rabbinic Judaism and early Christianity, Elledge provides in-depth analysis of this evidence in its own right; later evidence is considered largely as it illuminates the early Jewish materials. I noted the book and a related essay by the author here. Does one letter show that John used an apocryphal gospel? THE ETC BLOG: Apocryphal Gospels and Textual Criticism: An Interesting Case of P.Egerton 2 + P.Köln VI 255 (Peter Malik). Paleography is important. Sometimes a single letter can make a big difference. For a similar story involving one Hebrew letter in a Dead Sea Scroll, see here. The Nazareth inscription, the collector, and the empty tomb? GREEK EPIGRAPHY: The Emperor and the Empty Tomb: An Ancient Inscription, an Eccentric Scholar, and the Human Need to Touch the Past (Kyle Harper, LA Review of Books). The Nazareth inscription is a block of marble, about two feet tall, a foot wide, and two inches deep. The first of its 22 lines of text, carved in slightly irregular Greek letters, announces an “Edict of Caesar.” The text itself bears telltale signs of translation from the original Latin, the language of Rome’s empire. In the body of the law, the emperor demanded that tombs and graves remain forever undisturbed. No one was permitted to remove a buried body. The emperor warned that anyone removing a corpse from the grave would be charged with tomb robbery, to be treated as a capital offense equal to public sacrilege. Judged only by its content, the inscription would be an interesting enough document in the history of Roman rule. But in Froehner’s private inventory, he noted that the inscription was “sent from Nazareth in 1878.” The intrigue is obvious. Nazareth is famous for only one thing. Did the inscription have something to do with the controversy over that empty tomb? Could it suggest that a Roman emperor was aware, however dimly, of unsettling claims about a crucified man rising from the dead in a remote province of his far-flung empire? If so, the inscription might stand as the oldest physical trace of the world’s largest religion — an echo of the early Christian story, bouncing off the hard surface of Rome’s power. In any case, this is a fascinating story about collectors in the nineteenth century and one of their more interesting finds. Also, Charles Clermont-Ganneau, the French Indiana Jones of that century, makes an appearance. Of course he does. For the Rylands Papyrus P52 of the Gospel of John, see here and links. It is questionable that it is as early as the early second century, although that remains a possibility. There are many, many past PaleoJudaica posts on the Gospel of Jesus' Wife. You can find them in the archives. For key posts, see here, here, and here, and links. And for many posts on the James Ossuary, again see the archives, or start here and follow the links. HENDRICKSEN PUBLISHERS BLOG: Five Takeaways from Septuaginta: A Reader’s Edition (Tirzah Frank). More on the recently released book, Septuaginta: A Reader’s Edition, edited by Gregory R. Lanier & William A. Ross. H-JUDAIC: The Art of Mystical Narrative: A Zohar Symposium. Attendance is free, but advance registration is required. Cross-file under Zohar Watch and New Book. BIBLE HISTORY DAILY: After the Pittsburgh Tragedy. Like any other week (Jonathan Klawans). BIBLE HISTORY DAILY: How to Make a Mudbrick. Get a step by step look at the process. With lots of photos from the Tell Timai excavation. Cross-file under News You Can Use. Follow the link for TOC and ordering information. More on Professor Maeir here. APPREHENDED: Smuggler caught at Gaza border with coins from time of Alexander the Great. Palestinian man was attempting to take two ‘rare, highly prized’ tetradrachm coins, imprinted in Babylon and northern Greece between 323 and 325 BCE, out of territory (Times of Israel). There was another report of foiled coin-smuggling, this one at the Allenby Bridge crossing, earlier this week. THE LOGOS ACADEMIC BLOG: A Son’s Perspective on a Scholar Father: Interview with Noam Neusner (Tavis Bohlinger). NEW BOOK FROM BAKER ACADEMIC PRESS: Behind the Scenes of the Old Testament (New Book) (A.D. Riddle, The Bible Places Blog). Follow the link for details and the TOC. Did the Carthaginians bring the mongoose to Spain? PUNIC WATCH? How the mongoose got to Spain. Not all introduced species are unwelcome ("Rikkus Tikkus Tavius," The Economist). Just for fun. DR. MALKA Z. SIMKOVICH: Esau the Ancestor of Rome (TheTorah.com). In the Bible, Esau is the ancestor of the Edomites who live on Mount Seir, southwest of Judah. So how did the rabbis come to associate Esau and Edom with Rome? Two main factors are at work here: Christianity and Herod. For more on Dr. Simkovich's work, see here and links. explores the various ways that ancient Jewish and Christian writers engaged with and interpreted the Hebrew Bible in antiquity, focusing on physical mechanics of rewriting and reuse, modes of allusion and quotation, texts and text forms, text collecting, and the development of interpretative traditions. Contributions examine the use of the Hebrew Bible and its early versions in a variety of ancient corpora, including the Septuagint, Dead Sea Scrolls, New Testament, and Rabbinic works, analysing the vast array of textual permutations that define ancient engagement with Jewish scripture. This volume argues that the processes of reading and cognition, influenced by the physical and intellectual contexts of interpretation, are central aspects of ancient biblical interpretation that are underappreciated in current scholarship. This is a volume of essays from a conference that was held at the University of St. Andrews in 2014. I noted it here and here. The two editors are PhD alumni of the Divinity School of the University of St. Andrews.